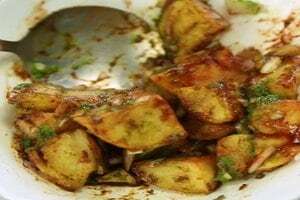 About Chatpati Aloo Chaat Recipe | Chaat Recipe: The most popular street food dish that finds its origins in the by lanes of Old delhi and now has a good fan following elsewhere in the country as well. 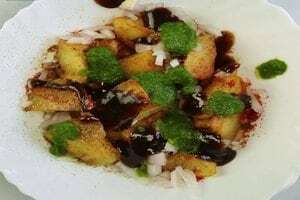 This chaat recipe has fried crisp potatoes topped with chatpata masalas and chutneys, chopped onions, fresh coriander and lemon juice put together for a tangy dose of ride. 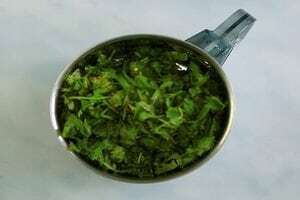 1.Take coriander leaves in a grinder. 2.Add green chillis and black salt. 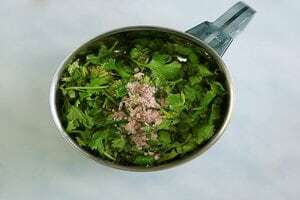 3.Grind all the ingredients together. 4.Add lemon juice to the freshly grinded ingredients for that tangy taste. 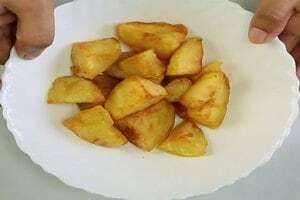 1.Take boiled potatoes in a pan of hot oil. 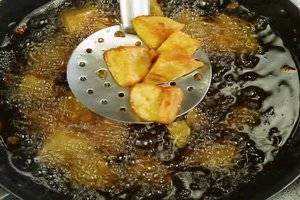 2.Deep fry the potatoes till golden brown. 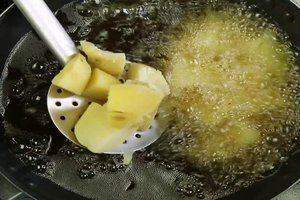 3.Soak oil and put the potatoes in a bowl. 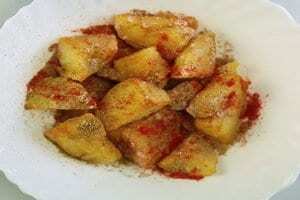 4.Add black salt, black pepper, cumin powder, chaat masala and chilli powder. 5.Sprinkle some chopped onions on top of it along with juice of half a lemon. 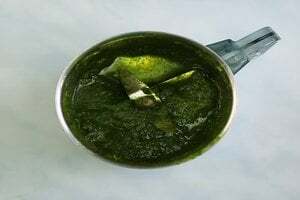 6.Pour tamarind chutney and freshly made coriander chutney. 7.Mix all of it thoroughly to soak all of the potatoes in the spicy and tangy flavour of the spices. 8.Serve in the plastic bowl with toothpicks, garnished with chopped onions. 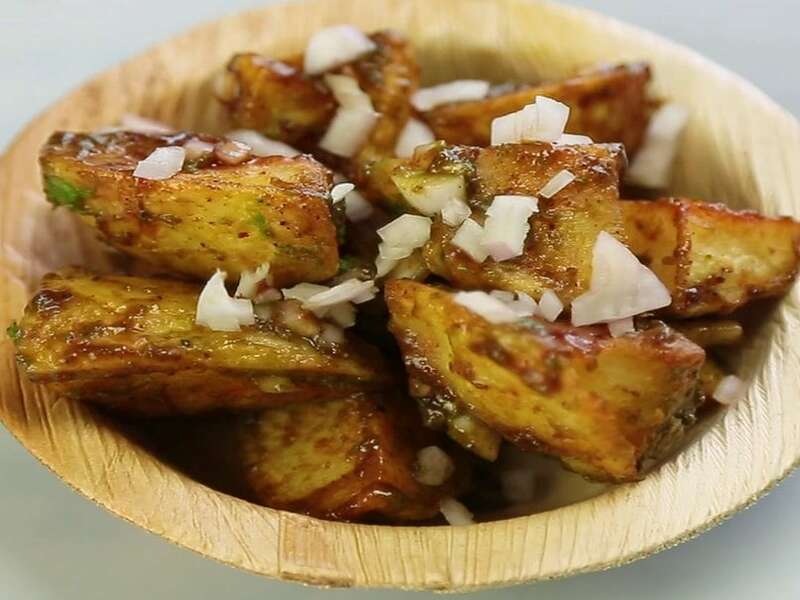 Weight watchers can enjoy this chaat by baking instead of deep frying the potatoes. Read about more chaat recipes that you can prepare at home. 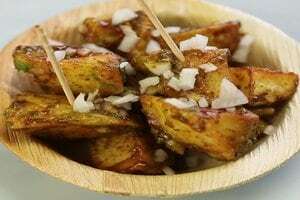 What all Street Foods Are Included in Chaat? From Gol Gappe to Aloo Tikki and More! 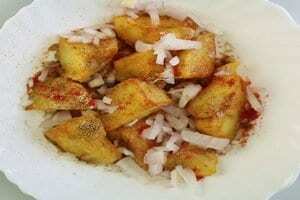 I tried making aaloo chaat using this recipe. It was really easy to cook and my family liked it so much, especially my husband.